The difference between 1 & 2 is in my opinion that the bokeh circles in the first image look much sharper, it seems like they get a small outline around each circle. How can you get something like that? How can you sharpen the bokeh effect cirlces? It is a property of the lens. 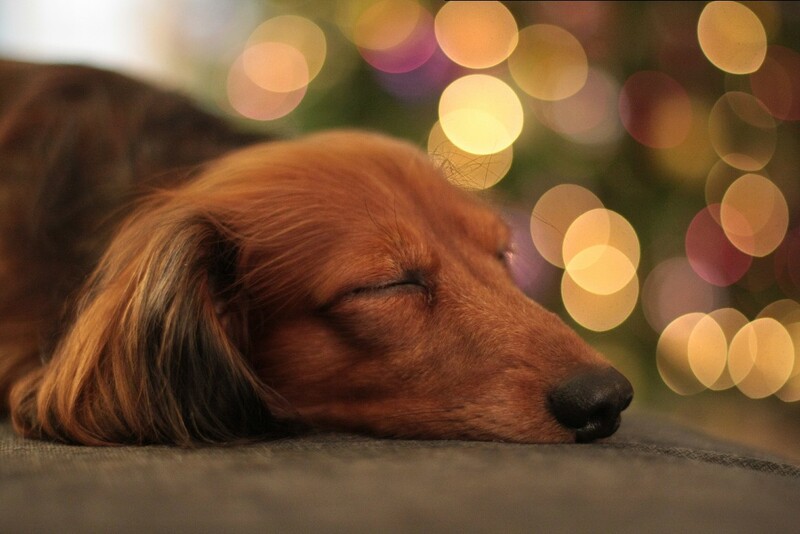 the bokeh highlights image not only shape of the aperture, but it also gets a profile. It can be a square profile, have sharp edge and then attenuate, have dots inside it, show cats eye, or be smooth like yours. The way the lens is corrected for spherical aberrations affect this. Vintage lenses typically make sharp bokeh rings. Note upper right corner where there is a bright sign over the door to a shop, it has a blurry edge. That bright light is too big to even make and aperture print. But you say your images always become blurry, so I dont think that's the case you are always seeing. I'm no expert, but my understanding is that the primary thing that causes bokeh-circles to be sharp is the (apparent) size of the light source. 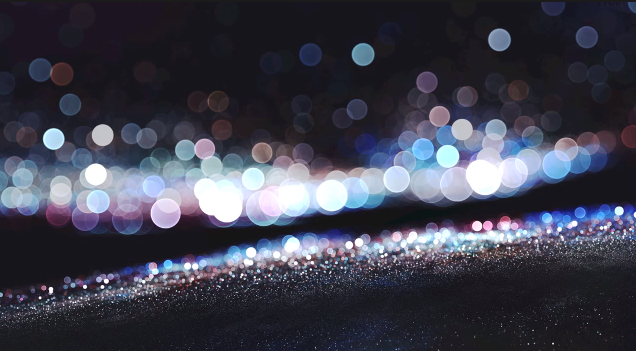 Smaller light-sources will cause sharper bokeh-circles. To understand why that is, you must first understand what causes bokeh; please see this answer for a detailed explanation. Once you've read that, it's easy to see why smaller light-sources will cause sharper circles. The light emitted from a very small light-source. 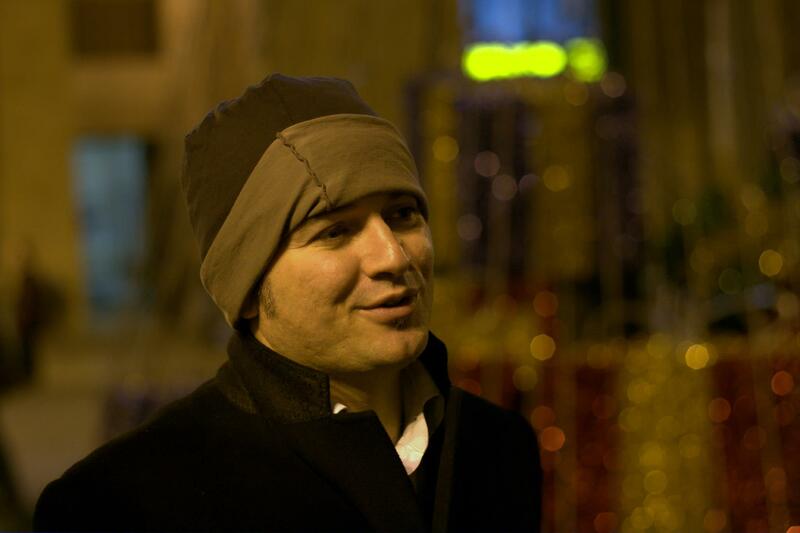 Note that the bokeh-circle is very sharp. Imagine this as light emitted from two different points of the same light-source. 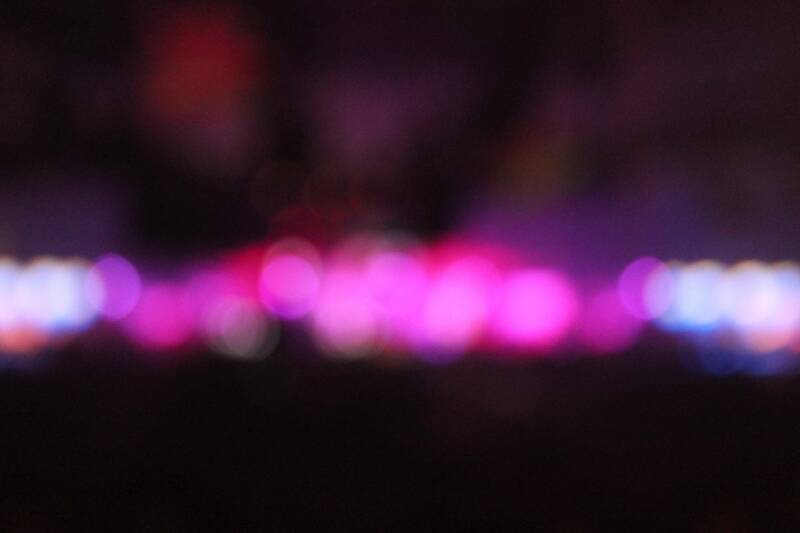 Notice how the center of the bokeh is very bright, but the edges, where they don't overlap, are dimmer. When combined with the light emitted from all the other points on the light-source, this will cause the edges of the bokeh-circle to blur. However, real-life lens have many more parts than the simple-lens from these diagrams, so there may be some factor I'm not aware of inside the lens that affects the bokeh-sharpness as well. And of course, a lens that is in-general sharper will also have sharper bokeh, simply due to being a closer-to-ideal lens. Interestingly, the above also shows why brighter light-sources have more-opaque bokeh-circles: their spread-out light overpowers the spread-out light reflected off other nearby objects. The difference appears to be the amount and intensity of light. When you look in the second photo, you can see that there are still very clearly defined (and very sharp) circles, it's just that the majority of them overlap and thus blend together. In the first image, the circles are more spread out and have more contrast so they appear more "sharp", but really they appear to simply be less jumbled together. What exact characteristics other than intensity and source of light and which is better for getting the look you want is something I don't know, but it does seem to have more to do with the subject than the camera settings from what I can tell from the two images presented. Update: Thinking about it a little more, it would presumably have to be a very high contrast scene with few areas of similar color and luminosity. (Other than the background of course.) That way each circle should resolve to a contrasting color and not overlap as strongly. Also, having a minimal amount of foreground probably helps to avoid blending between different color circles that happen to overlap. Update 2: Part of it is also going to be a property of the lens specifically. The circles shape is directly related to the blades and shape of the aperture. There is going to be some amount of sharpness that some lenses can achieve that other lenses simply won't be able to and vice versa. 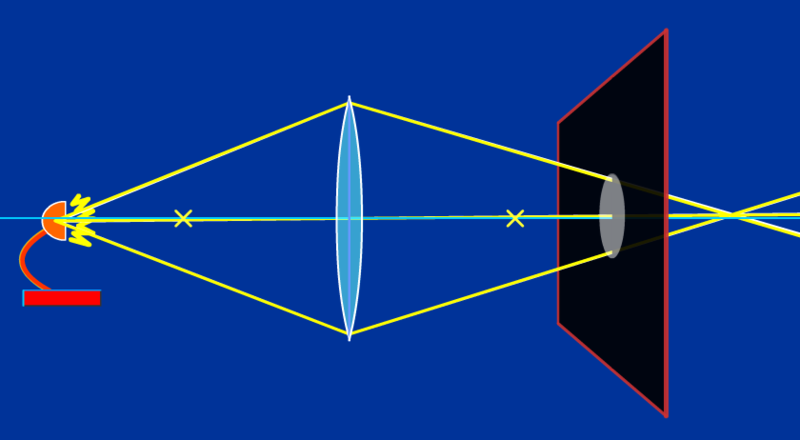 The rendering of bokeh highlights is related to the residual spherical aberration of the lens. A lens with little spherical aberration with produce bokeh highlights that are relatively uniform. A lens that is over corrected for spherical aberration will produce bokeh highlights with brighter edges for out of focus elements behind the focal plane, and bokeh highlights with brighter centers for out of focus elements in front of the focal plane. A lens that is under corrected for spherical aberration has the reverse situation for foreground and background bokeh highlights. 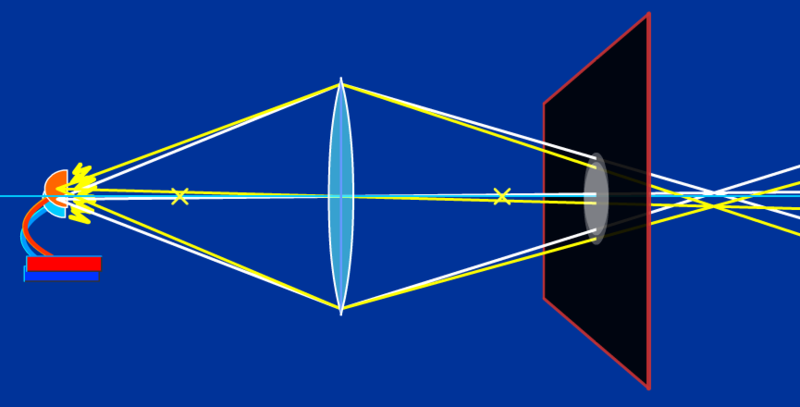 The residual spherical abberation is typically a fixed property of a lens, so if you desire background bokeh highlights with brighter edges like the first sample image, you will need to use a different lens than the one used to make the second image, specifically one that is over corrected for spherical abberation. Lens reviews and sample images on photo sharing sites like Flickr can help you find a lens with the bokeh rendering characteristics you are looking for. Once you find a lens with the bokeh characteristics you desire, you will get the sharpest bokeh highlights when the highlights are bright and small, preferably point-like light sources that are far away. Note that as a special case, Nikon's DC (defocus correction) lenses allow you to adjust the bokeh rendering in the lens, allowing you to dynamically adjust the spherical abberation correction to select the type and degree of bokeh rendering you want. Not the answer you're looking for? Browse other questions tagged bokeh sharpening or ask your own question. How to prevent “cats eye” bokeh? How can I maximize the “blurry background, sharp subject” (bokeh) effect? How do you create a washed out effect with deep blacks? Is there any Photoshop effect that can create vertically distorted bokeh as one sometimes sees in film and video? Maximizing bokeh in the foreground? Should I use my kit lens at max aperture or max zoom for shallow depth of field?